Celebrate National Mutt Day on July 31st | Animal Clinic Inc.
Mutt. Heinz 57. Mixed breed. No matter what you call them, mutts are adorable! But did you know that over 70% of dogs in shelters are “mutts”? Mutts make up the greatest number of dogs in shelters because purebreds are typically adopted first. National Mutt Day was created in 2005 to raise awareness about the number of mixed breeds that end up in shelters and remind us that it is not necessarily the breed that matters when adopting, but the personality! There are plenty of reasons to adopt a mutt. Personality. Mixed breeds may have the best personalities because they do not have the extremes in behavior that purebreds do. Uniqueness. No other dog will be the same as your one-of-a-kind mutt! Longevity. Because mixed breeds come from a diverse gene pool, they tend to be healthier with less breed-specific diseases and conditions. Therefore, mixed-breed dogs often live longer than purebreds and they tend to be healthier. Budget. Mixed breeds don’t come with the hefty price tag that purebreds do (keep in mind that all dogs, mutts or not, need regular veterinary care, a healthy diet, toys, bedding, and other supplies). Trainability. Just because you get a mutt doesn’t mean it isn’t trainable. Mixed breeds are trainable just as purebreds are and make great family pets. Adopting a dog does come with some work and planning. Research. Be sure to do some research before you adopt. All dogs need exercise, and some need more than others. If, for example, you adopt an Australian Shepherd crossed with an Irish Setter or German Shepherd, be prepared for long walks or runs! If this will not suit your lifestyle, keep looking! Don’t impulse shop. While your heart may say “yes”, consider all that the shelter staff tell you about the dog. They have gotten to know the dogs in the shelter and will be able to advise you on the best match for your lifestyle. If there isn’t a dog that matches with you and your lifestyle today, don’t despair – good things come to those who wait! Commitment. Some mutts in shelters come with baggage. Any behavioral problems that the dog may have are not the fault of the dog. They are a result of poor training by the previous owners. With time and commitment, you will be able to train the dog and eliminate unwanted or “bad behavior”. Not everyone can adopt a mutt into their home. If you aren’t ready to adopt, you can still help by supporting your local shelter. Consider making a donation – this donation doesn’t have to be money! Many shelters accept towels, dog food, and toys. 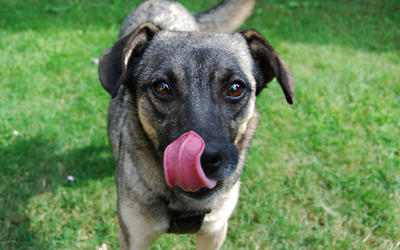 Maybe your current dog turned his nose up at the new food you bought – the shelter may really appreciate it! Another way to help the shelter is to try fostering a dog. It’s a great way to see if you are ready to adopt a dog and it provides a loving home to dog in need. Contact your local shelter to see how you can help celebrate National Mutt Day!